THE COLLECTORS ARTIST PROOFS US $845. 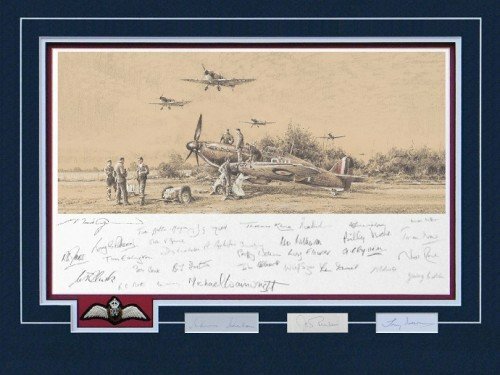 In this very special 75th Anniversary year of the Battle of Britain, the world's leading aviation artist commemorates Churchill's famous 'FEW' - the valiant young men of RAF Fighter Command who valiantly defended the nation. This outstanding new Limited Edition from Robert Taylor is a lasting tribute to these heroic men, many of whom made the ultimate sacrifice.